Mark Lively is Pet of the Week! You are here: Home / Pet Corner / Mark Lively is Pet of the Week! We have absolutely no idea how Mark Lively got his name. He came in with it as an owner surrender, and rather than confuse the poor guy, we kept it. 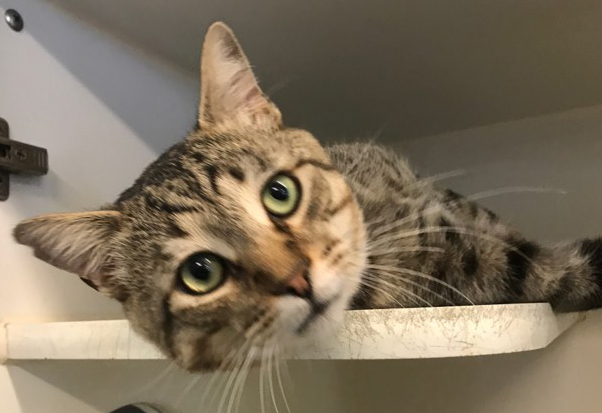 That doesn’t mean that you can’t give him a new one—he’s only a year old and has plenty of years to enjoy not only a fitting name but a warm, loving home. And despite his faraway look—probably wondering how he wound up at the shelter—he’s known to be very lively indeed! Meet Mr. Lively at the Companion Animal Village at 7700 East Spring St., (562) 570-PETS. Ask for ID#A594480.